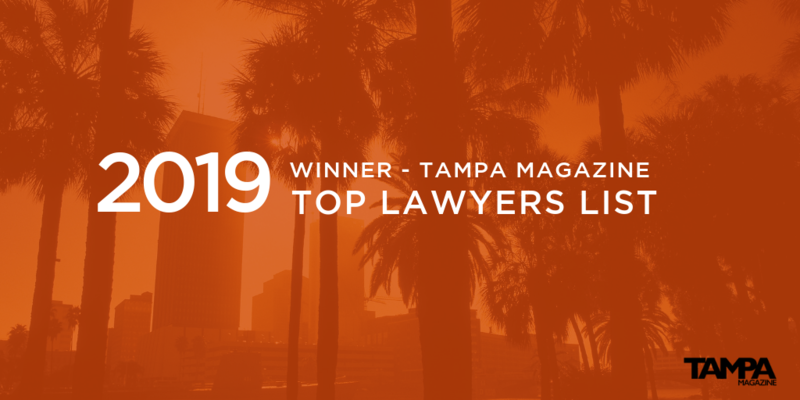 The Law Offices of Ryan Cappy is excited to announce that Ryan Cappy has been ranked as a Top Lawyer by Tampa Magazine for 2019 on their Top Lawyers List, in the category of Personal Injury (Plaintiffs). Out of the 88,000+ lawyers eligible to practice law in Florida, Tampa Bay attorneys chose 132 of their peers to win this award in their specific area of law. This list appears in the April/May 2019 edition of Tampa Magazine. We are equally humbled and excited to represent the Tampa Bay area community and help our clients out of tough situations that involve injuries. We know how overwhelming it can be to find a law practice to meet the needs of your specific situation, but we are truly grateful that we have the opportunity to be a trusted firm in this beautiful community. Thank you to the community of Tampa and to our peers in the legal community for making this award possible. For more information on Tampa Magazine, visit them at https://tampamagazines.com/ and grab a physical copy of the April/May 2019 edition to see the full Top Lawyers List.